The New York Times has an article about people not making phone calls anymore, so it's not just me. If you are not one of my best beloveds, I don't want to talk to you on the phone (you know who you are, because I call you). This is especially true of business and consumer stuff. If I can do it online, I will. My only exceptions right now are my stylist, which is a tiny business and they answer on the first ring, so no big deal, and sometimes my health care provider. The latter is slowly crawling into the 21st Century with the rest of us, but it's not complete. Some offices will make online appointments, some won't. I do not know why they love playing phone tag so much, maybe because of the lack of a paper trail. I had to pay $130 dollars just for my doctor to yell at me for not making an appointment when I did (in person), but his office lost it. So I tried to make another reservation after he had finished, and they said they didn't have "their calendar ready yet". I'm sure I will soon get some cryptic messages on my phone from them when I can't call back soon. But government-run health care would be bureaucratic and incompetent, right? Anyway, then they post another article saying that smart phones are such a good bargain that raising rates would be just hunky-dory? If Americans are not calling anyone and smart phones require a phone plan, then they cannot possibly be a good deal. And by the way, I paid $0 for my prepaid phone plus $480/24 months, not $20 + $800. And the more I use my iPod Touch, the less I want to use the phone (free texting!). I guess my current solution is awkward to some- dumbphone + MiFi I activate only when I'm going to be somewhere without wi-fi for an extended time + iPod Touch, but I prefer it to paying for something I won't use. I just hope that eventually people will revolt, as they seem to be doing with cable. I pretty much agree with my sweetie on most things outside of the realm of the show Jackass! I do like using the voicemail of credit card companies and my bank though, where I don't have to interact with someone trying to shoot the breeze and sell me protection already guaranteed under federal law, but don't have to log in online. I gotta say I am still dead set against texting as anyone who knows me knows. It is pure technological devolution, a technology that makes communication more difficult rather than easier! Unless I have a bad case of laryngitis, I can't see how playing thumb polo with a micro gadget is going to be simpler than picking up the phone and leaving a voice mail!! As a cost cutter I have been pushed more and more into your line of thinking. I dislike commercials so I only have cable for internet and have loved being a Netflix/streaming media user. Recently I dropped cellular texting and was pretty scared to do so, as it is my preferred method of being reached. But now that I have an old ipod touch i too am doing the free texting and it seems to work fine so far, and it keeps me from reading texts in the car! Next up I am dropping down to the lowest cellular plan for voice considering besides my girlfriend, I do in company minutes with my family which doesn't count and all other calls I simply do not answer to force them to leave me a voice mail. 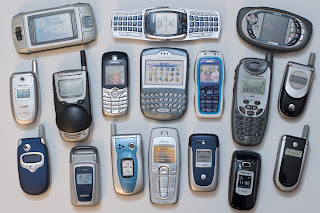 As for smart phones, I was once always on the bleeding edge of this with my 500 dollar phones being upgraded every 6 months, but as they increased the cost on internet usage I eventually dropped that part of my smartphone. The catch is ALL new smart phones require cellular internet. I am a user of apps like GPS software and texting and video recording. So now I am left behind because I refuse to pay the 80+ dollars a month. I just want a powerful computer in my pocket!